IS IT A GIMBAL KILLER??? // GoPro Hero 7 Black! Here it is! 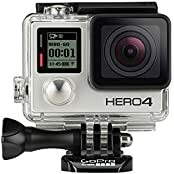 The GoPro hero 7 balck with HYPER smooth stabilization. I’ve got it chest mounted with a wind slayer over top. What do think of the video? Is it really a gimbal killer? How about the new audio? Let me know! You can support the channel by checking out some of my gear below! You can check out my DH bike here! Với 10 triệu giờ mua GoPro HERO 7 hay smartphone?